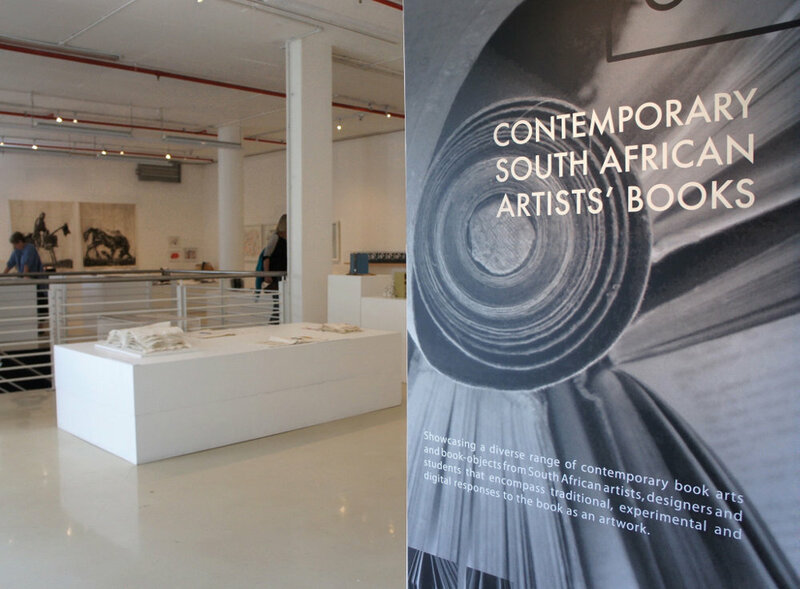 This catalogue showcases the layout of the FADA Gallery-hosted exhibition, Contemporary South African Artists' Books, the individual works and biographical information about the participating artists. The exhibition formed part of Booknesses, a comprehensive artists' books project consisting of two major exhibitions, workshops and a colloquium. The works for the exhibition were selected by a curatorial team of University of Johannesburg academics; David Paton, Gordon Froud and Eugene Hön. The diverse range of artists' books on display provided a perfect platform for the FADA hosted colloquium titled, Taking Stock of the Book Arts in South Africa. The delegates included local and international book specialists all of whom attended the opening at which the American book artist Robbin Ami Silverberg provided the opening address. The exhibition consisted of ninety-two works, produced by seventy-nine artists, of which nine were installations and five were digital works. Book-as-artwork statements were grouped together in designated areas on the ground and lower ground floors of the FADA Gallery to ensure logical navigation through such a diversity of bookworks and through the exhibition as a whole. The curatorial groupings and their layouts can be viewed from page 8 - 28. Artist /designer statements and a biographical synopsis of each artist / designer provide insight into the scope and depth of book arts in South Africa. This major artist's book exhibition attracted much support from UJ staff, students, alumni and the local art community. Breaking with the 'no-touch' convention of most international book arts exhibitions, here, visitors were provided with gloves so as to handle the displayed works and engage the artists' innovative and creative approaches which ranged from the sculptural, through the more conventional forms of codex, to the digital and video work. The establishment of an artist's book club (ABC), during the run of the exhibition, ensures the longevity of this specialised art discipline.